An ancient concoction for eye infections seems to really work. The potion, which contains cattle bile, kills the "superbug" methicillin-resistant Staphylococcus aureus or MRSA, researchers at Britain's University of Nottingham report. In fact, it worked better than the current gold standard for MRSA infections of the flesh, the antibiotic vancomycin, an expert at Texas Tech University found. Now researchers are working to see just what's in the salve that kills germs so effectively. It started with a joint project by two wildly different departments at the University of Nottingham. Dr. Christina Lee, an Anglo-Saxon expert in the School of English, went to microbiologists in the Centre for Biomolecular Sciences with an ancient text — Bald's Leechbook. The 10th-century book has all sorts of remedies, detailed in Old English. They picked a relatively simple eye salve calling for garlic, onions and cow bile, to be mixed with wine and aged in a copper vessel. "We chose this recipe ... because it contains ingredients such as garlic that are currently being investigated by other researchers on their potential antibiotic effectiveness," Lee says in a video released by the university. "We also looked at a recipe that was relatively straightforward." 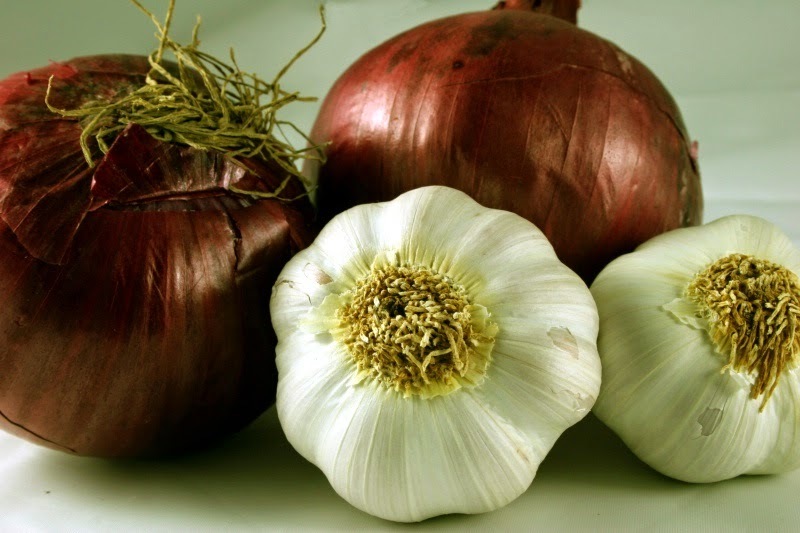 It didn't look exactly sanitary, even if onions and garlic are known to have some antimicrobial activity, and even if wine might kill some germs if the alcoholic content is high enough. Copper, also, has some antimicrobial properties. As for bile from a cow's stomach — maybe not so much. Nonetheless, said Nottingham microbiologist Freya Harrison, "we recreated the recipe as faithfully as we could." They even went to a vineyard that's been around since the 9th century for some wine, said the university's Steve Diggle. They pounded together the ingredients and left them to stew for days, as directed. And the resulting mash seemed to kill germs pretty well. It even killed germs that had formed a sticky mess called a biofilm — something that's usually pretty hard to get at, even with modern antibiotics. The researchers, who presented their findings this week to a meeting of microbiologists in Britain, sent some of the stuff off to Kendra Rumbaugh, an associate professor at Texas Tech, who tests antibiotics. She tried it against MRSA, one of the most common and vexing superbugs that's spreading rapidly. "It certainly works as well as, if not better than, what we are using in clinics," Rumbaugh told NBC News. "The gold standard is vancomycin and it worked as well as if not better than vancomycin." Rumbaugh tested the stuff in tissue taken from mice infected with MRSA. The salve will have to be made using more modern methods before anyone can test it in a living animal, she said. "Usually we don't find very much that works that well, certainly not against MRSA," Rumbaugh said. Individually, the ingredients did not kill the germs. "It wasn't until they put it all together that we saw this really nice antibacterial activity," Rumbaugh said.